What’s Inside the Most Expensive Mattresses in the World? A typical mattress retails for around $1500, but these luxury mattresses start at $13,000 and soar all the way up to $150,000! It’s called the bespoke bedding, and it represents the bulk of what makes a most expensive mattress. These bespoke mattresses have become all the rage for champagne dreamers, but thanks to the internet the world’s most expensive mattress is now readily available for purchase or perusal online. And while these beds represent an elite level of style and comfort, we also show how many of those ideas are used in a mattress well within your price range. What Makes a Bespoke Mattress? Bespoke literally means “made to order” so when you’re dealing with a bespoke mattress, it means that it has been specially tailored to your needs. That can mean high-quality, all-natural materials, handmade mattress components, rare fabrics, stuffing, and stitching. All these customizations are what drives the price up, creating this couture-sleeping class who enjoys purchasing the world’s most expensive mattress. Crafted in the USA, when you order a Palais Royal, it takes ten craftsmen three days to make. It uses ten layers, with ten pounds of cashmere, mohair, silk, and New Zealand wool. This is a mattress made to be “medium firm” which balances comfort and support for it. 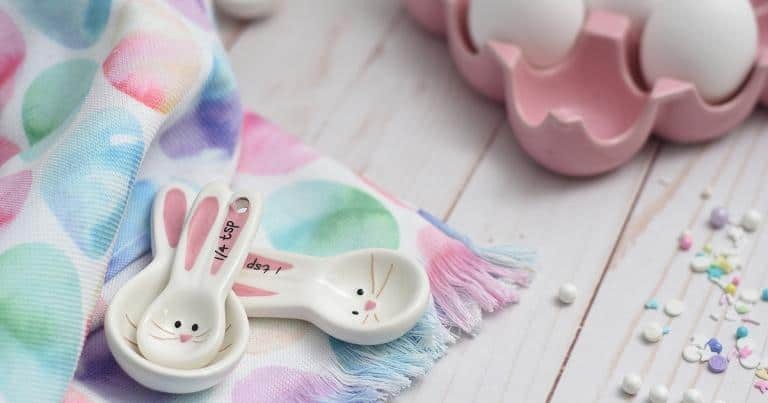 It uses traditional innerspring technology, each of which is wrapped in hand-sewn cotton. 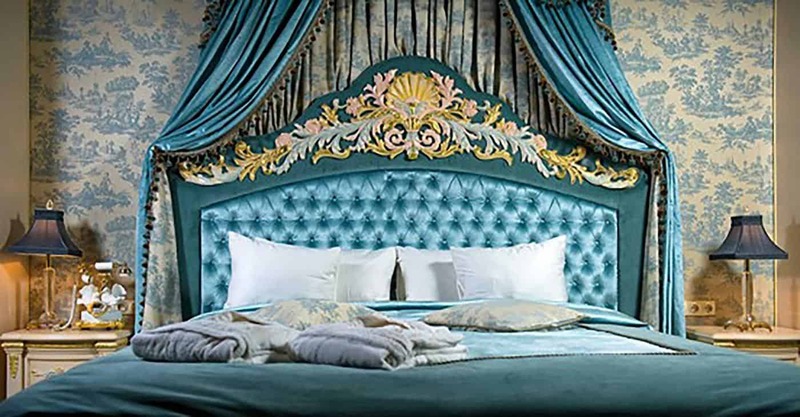 This bed can retail for upwards of $60,000 if it’s completely customized, making it easily onto the most expensive mattress in the world list. 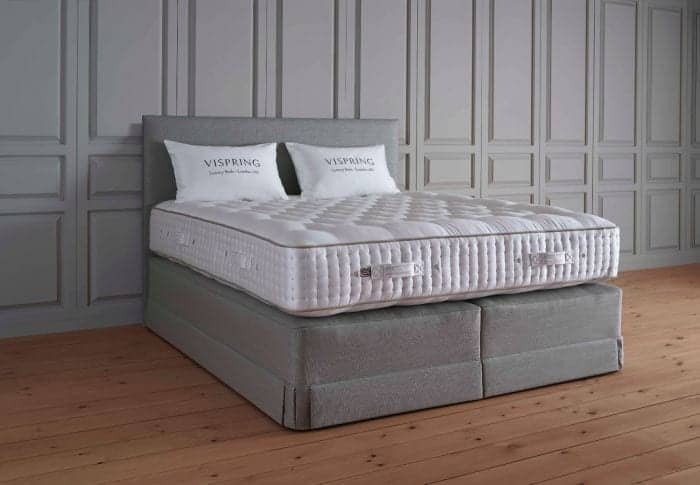 Vispring has made a name for themselves in the luxury mattress game because of their use of pocket coil springs. 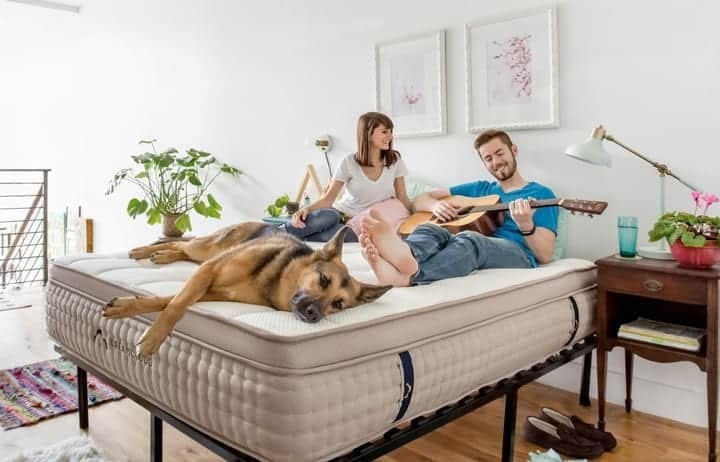 This technology, which is designed to last a lifetime (for real, one recently recovered 75-year-old mattress still had 95% of its height) is a mixture of support and comfort. Since they are a bespoke company, Vispring offers customers the chance to pick their own tension for these coils. Easily recognizable due to its clean, simple design, a Vispring represents how form and function come together into one perfect aesthetic. Oh, and it’s evidently like sleeping on a cloud, so that sounds pretty good to us. This mattress is so fancy that the company who owns it has an umlaut above its vowel. Hästens has been making beds for over 160 years, and its mattresses share that kind of longevity. They were the company that invented the pocket spring system, which is now a hallmark of the luxury mattress. 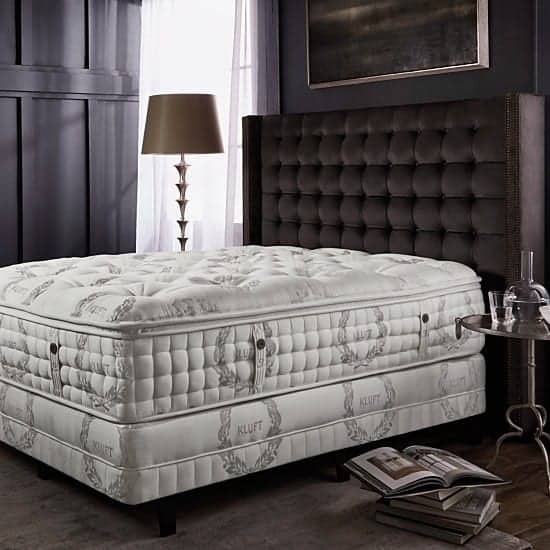 At an average age of over 45 years, it’s not just a most expensive mattress, but also a longest-lasting one too. That only matters if they sleep well, and the Vividus relies on layered cotton, wool, mohair, and horsehair to create a soothing and perfect sleeping environment. Have an extra 140k to spend? Get in line, Hästens has a waitlist almost as long as its list of quality materials. At only $14,000, the Dux 818 represents the most affordable for a most expensive mattress. Yes, affordable is a relative term, but at that price, you can almost rationalize paying five figures for a bed. Assembled in Sweden and Portugal, the Dux 818 can allow for different firmness levels for different parts of the bed. It also has a firmness crank to adjust spring tension to provide more or less support for your lower back, depending on what you need. This is due to a unique feature of the Dux — one continuous coil which runs the length of the bed. DreamCloud offers luxury mattress performance at a price point that doesn’t make it the most expensive mattress you’ll ever buy. DreamCloud offers many of the features that the above beds claim, but without the price drama. Want the cashmere of a Vispring bed? DreamCloud has a hand-tufted cashmere topper. How about the pocket coil spring technology of a Vispring or a Hastens? DreamCloud has that too. It’s all of the materials and design of a luxury bed, but with the consumer in mind. If you want to try a bed that sleeps like the most expensive mattress but don’t want to be kept up at night worrying about the price, then this is for you. Give DreamCloud a try today and get the sleep you’ve always dreamed about. For a limited time, you’ll even receive $200 off the list price! Baller!